The gills are pink sheets. Number of sheets between 5-7 sheets. Each sheet consists of a pair of filaments. On the surface of the filament there is a structure which is located in an alignment called lamela. opening and closing the gills. Water entering the mouth will be released through the gills of the fish. A gas exchange occurs during the water through the gill sheets. 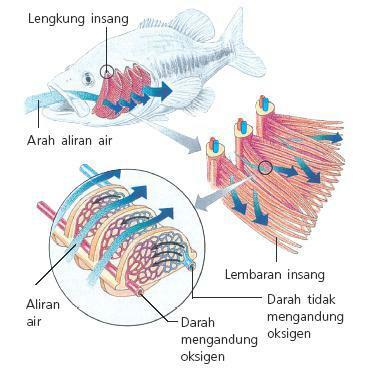 0 Response to "Fish Respiratory Organs"